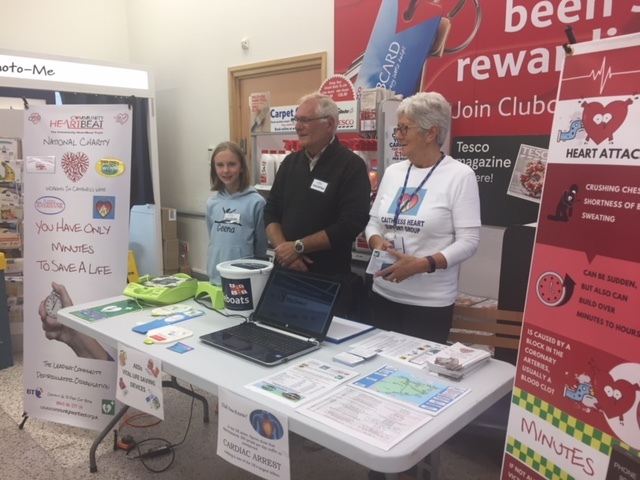 We would like to announce the newly formed Caithness Defibrillator Campaign Group in partnership with the Caithness Heart Support Group and the Community Heartbeat Trust. The primary aims of the group is through social media etc. to raise the awareness of Automated External Defibrillators (AEDs) in Caithness and to ensure that residents know where these vital life saving devices are located and the access and to be confident that they are well maintained. Liaise with Owners/Custodians of AEDs throughout Caithness or those communities that we know of that are planning a defibrillator to highlight the importance of good governance of AEDs and to encourage Owners/Custodians to register their AEDs with the Scottish Ambulance Service and the Community Heartbeat Trust WebNos system. Registering with the WebNos system will ensure that AEDs appear on the National Defibrillator Database and for the public to view all AEDs in Caithness and the rest of the country. The group is also planning to organise CPR and AED Awareness Sessions free of charge by qualified personnel for any community that requests a session. This will include delivering session to primary 6 & 7’s and high school pupils if requested. The group also wants to raise the profile of AED signage around the county and to help communities were possible source funding for an AED.